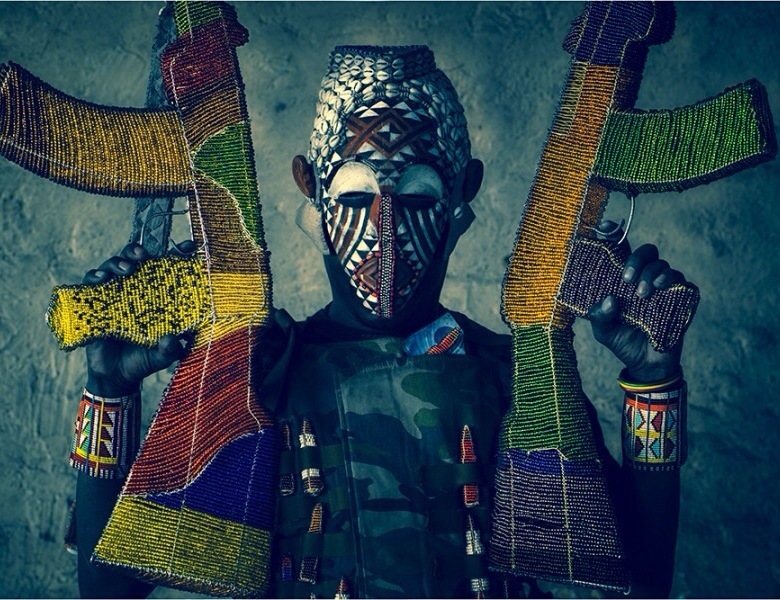 Inspired by the African wars and the almost iconic AK-47, that dominates the African culture, South African photographer Ralph Ziman came up with the art project ‘Ghost’. 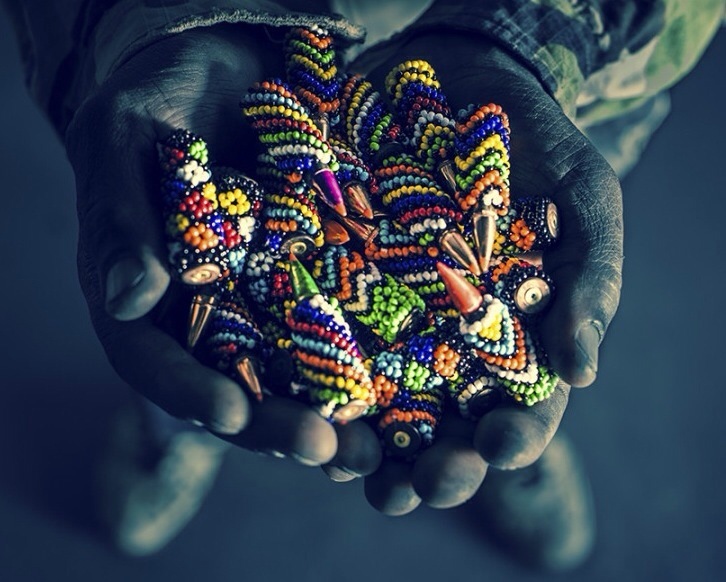 One day he found out about some streetsellers who sold AK-47 made of colorful beads. 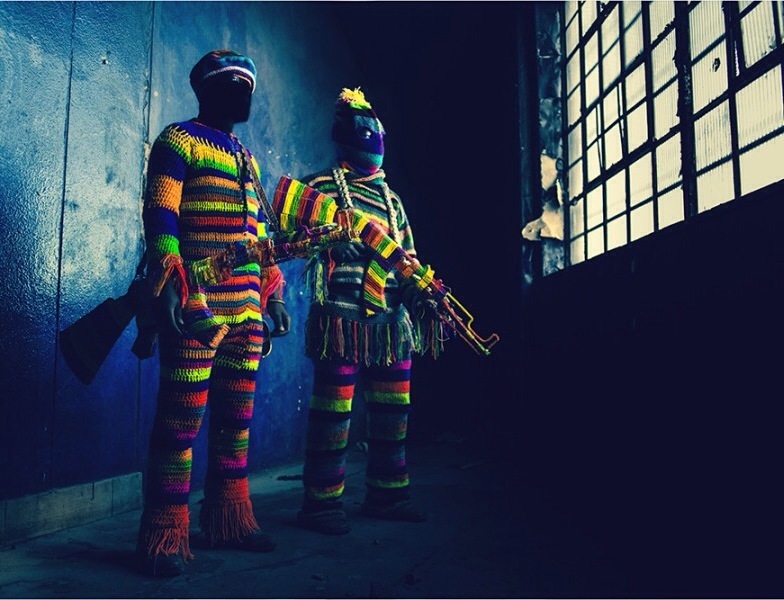 This colourfullniss made Ralph think about both the attractiveniss and dangerous impact of the real AK-47. Together with the streetsellers he created a stunning collection of photos. 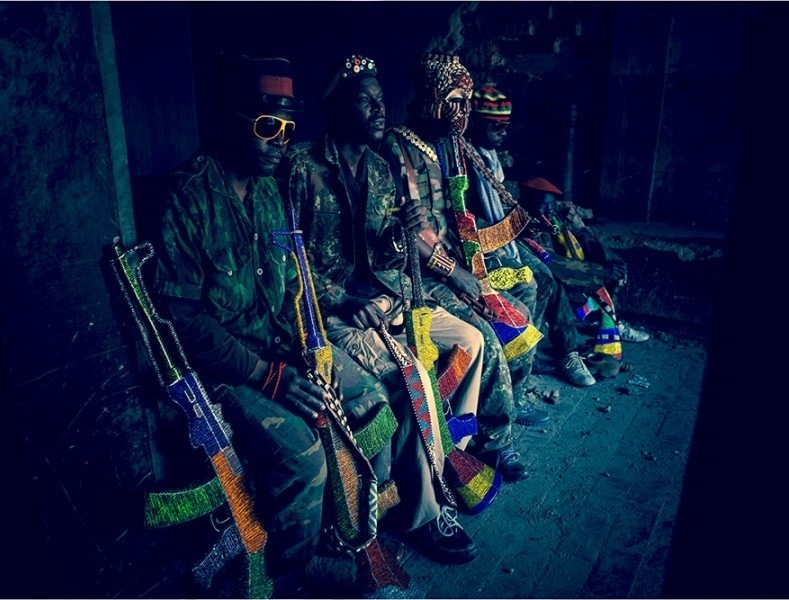 The colourfull weapons and bullets in contrast with the raw background makes these photos extra intense. For those who live in LA, ‘Ghosts’ will show at C.A.V.E. Gallery from February 8 until March 2. Some photos of the impressive collection.